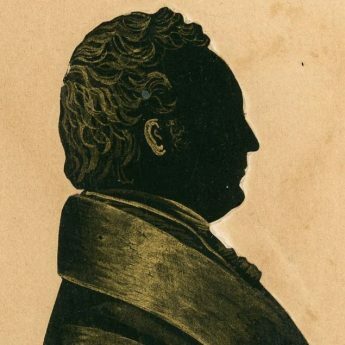 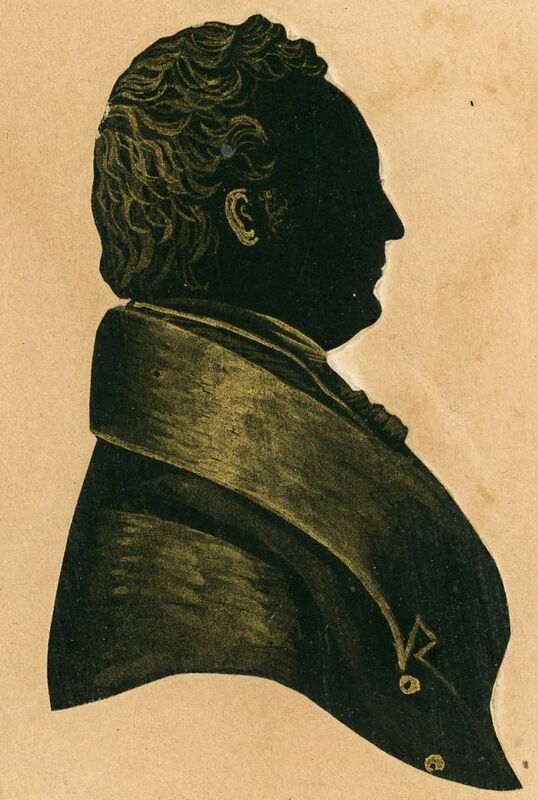 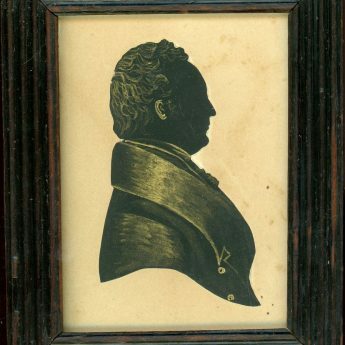 Despite the presence of a professional and detailed trade label, this head and shoulders cut and bronzed silhouette of Dr Drake wearing a double-breasted coat is the only recorded example of a profile from the studio of G. Cryer. 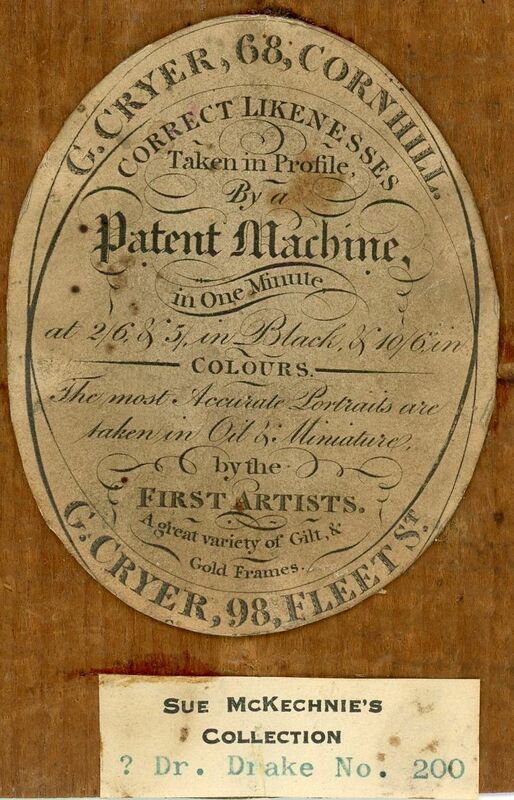 Working from two central London addresses – 68 Cornhill and 98 Fleet Street – G. Cryer offered “correct likenesses” taken with the aid of a machine “in one minute” at a cost of 2/6 and 5/- for black profiles and 10/6 for colour portraits. 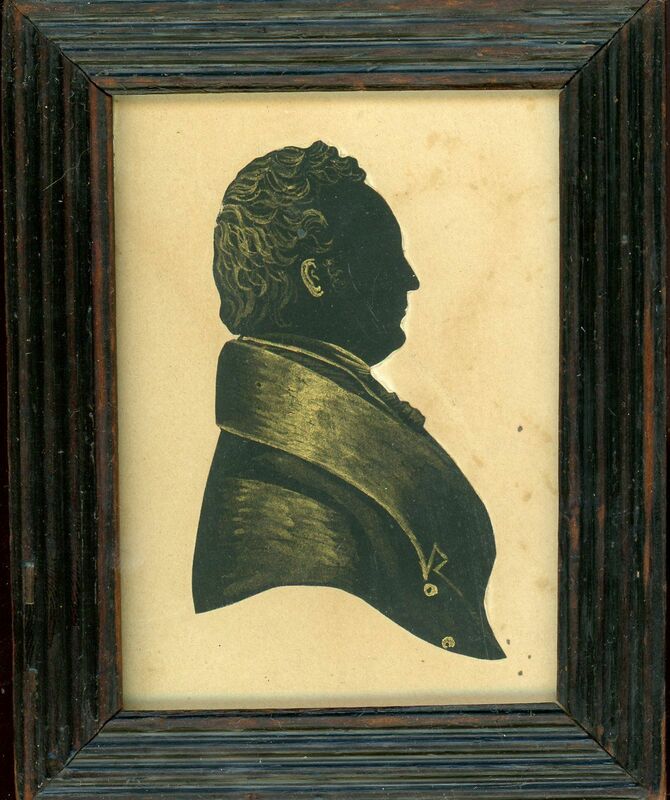 The silhouette has evidence of age-toning and is set in the original ebonised reeded frame, the backing board displaying the one and only known example of the gallery’s trade label.